1000 W. Washington also known as 1000 West in Chicago’s West Loop neighborhood and is a loft condominium building with a rich history befitting its location near Chicago’s Restaurant Row. What started in this West Loop neighborhood as a facility where Nabisco crackers and biscuits were made in the late 1800’s and early 1900’s, has become NOT so cookie cutter and one of the most unique and diverse collections of residences in Chicago’s West Loop . 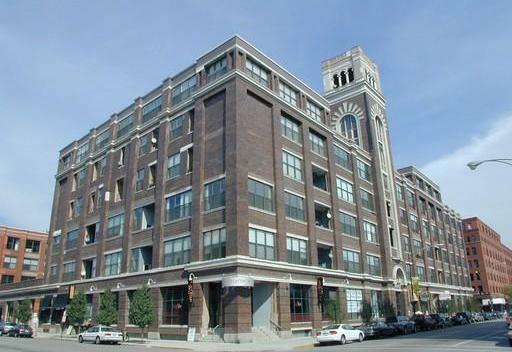 There are 180 loft condo homes and 160 different floor plans at the 1000 W. Washington Lofts. The building (which is technically two separate buildings) encompasses nearly an entire city block. On the Randolph Street side, built in 1884, 1000 W. Washington is comprised of open spaces with high ceilings and authentic timber beams enhancing each residence. On the Washington Boulevard side, built in 1902, concrete walls and ceilings offer a strong, minimalist backdrop that allows residents a wide range of decorating options. With few exceptions, every floor plan of every loft home at 1000 W. Washington is unique. This creates an appealing bonus for residents: 1000 West Washington Lofts is located in the heart of Chicago's West Loop neighborhood occupy a home that is theirs alone, and not simply a carbon copy of their neighbors’. Additionally, they have a unique selling advantage because they are not competing with dozens of similar homes when they are ready to sell. It’s appropriate that a loft condo building in the West Loop restaurant district should offer floor plans as diverse as a four-star restaurant menu. The 1000 W. Washington Lofts are situated a few blocks south of Chicago’s Restaurant Row, home to some of the city’s dining establishments. Back at home, condo residents can enjoy the Flat Top Grill, a neighborhood mainstay, on the first floor of 1000 W. Washington. There is also a Subway shop when all that’s needed is a quick grab-&-go sandwich. The 1000 W. Washington Lofts provide many opportunities for residents to fully enjoy themselves without ever leaving home. The community room encourages friendly gatherings and offers the perfect venue for homeowners’ association meetings. Furry friends are welcome as the building is pet-friendly. The sundeck has been refurbished to allow residents to enjoy the outdoors while taking in some of the most spectacular views of downtown Chicago. If you are inspired to explore the residences of 1000 W. Washington, if you are ready to experience authentic loft living in a classic downtown Chicago setting, contact Ted Guarnero at (312) 566-8141. Deep-set into every layer of concrete and timber of 1000 W. Washington is a legacy that tells the story of this little corner of downtown Chicago’s West Loop neighborhood. In 1832 local druggist Deacon Carpenter was inspired to purchase a 160-acre parcel of land in the neighborhood for $200. Mr. Carpenter built a home for his family on this parcel. Bounded by Kinzie on the north, Madison on the south, Elizabeth on the west and Halsted to the east, the Carpenter family called this neighborhood home until the end of the Civil War. Eventually, the Carpenter family home became obsolete as developers scrambled for land to build factories, to keep up with the industrial development on the west side of Chicago. At Randolph and Carpenter, the Kennedy Baking Company erected a brick-and-timber facility in 1878. It was replaced in 1884 when the original Kennedy Baking Company factory was destroyed by fire in 1881. This facility later became part of a compound of factory buildings owned by the National Baking Company (Nabisco). These buildings were utilized as biscuit and cookie factories and then textbook warehouses until the mid-1990’s. At that time, real estate developers pounced on the former National Baking Company buildings to transform them into the residential loft condos of 1000 W. Washington. Developers and architects created 180 loft properties with 160 different floor plans. Over the years, some of these unique homes have been profiled in local design publications and on the HGTV network. 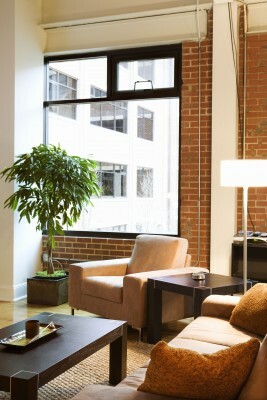 1000 W. Washington Lofts Can Be Affordable! 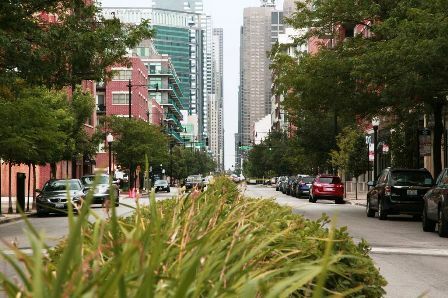 Chicago’s West Loop neighborhood is arguably one of the hottest areas for new construction lofts, condos, rentals and various commercial developments right now. The transformation of former warehouse buildings into sleek new loft condos in a great Chicago location has made the West Loop one of the premier living destinations for working professionals over the past decade, but as more and more restaurants, retail stores, and park spaces such as the Adams and Sangamon Park continue to develop, the demand for loft condo space is continuing to rise at a rapid pace. Some of my favorite loft condos for sale in the West Loop of Chicago include 1000 West Washington, The Haberdasher Square Lofts (located at 728 West Jackson), 1040 West Adams, and 1301 West Madison. The great thing about each of these West Loop lofts are that each building boasts affordable loft spaces and each is also pet-friendly. As a dog-owner, I understand the importance of finding the right dog-friendly real estate in Chicago, and the West Loop provides condo buyers with some great options. So for more information on Chicago dog-friendly real estate or Chicago West Loop loft real estate, contact Ted Guarnero at (312) 810-6693.